Amidst a veritable flurry of rumours surrounding HTC’s 2015 flagship successor; codenamed: HIMA, it appears the wheat has been thoroughly shaken from the chaff. A recent post from the infamous leaker @evleaks has revealed that the HIMA will indeed be going for a complete redesign. Contrary to recent posts, the M9 will not resemble the current M8 smartphone, but instead will take its design cues from the likes of the Xperia Z3 and the Nexus 9 (the Nexus being built by HTC last year). Those of you familiar with HTC smartphones know that the flagship’s defining trait was its superb boomsound speakers on the front bezel. Well, good news. The HIMA is keeping its pedigree sound quality but instead will incorporate the speakers into two thin bars on the top and bottom of the handset. 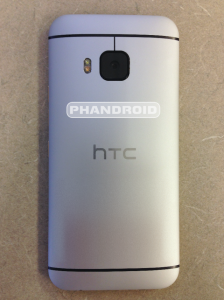 Gone too is the detested HTC logo bar (used to hide the amplifier), providing the phone with a near edge to edge screen. Standard sensors and a 13 megapixel front snapper will also be included. Rearside, HTC have done away with the M8 ultrapixel rig, instead; opting for a single 20 megapixel lens with a large aperture. This will come as a relief to devout HTC fans, as even we would concede that the camera quality never lived up to the hype. More general specs include HTC’s much loved aluminium unibody and Qualcomm’s bleeding-edge Snapdragon 810 to boot. Expect little change in the display department, with the HIMA offering 1080p LCD rather than a QHD or LED iteration. This may disappoint some, but will still provide superb ppi without the added power costs required by 4k. There is no word yet on an IP rating (protection from moisture, dust and any other foreign body disliked by your telephone), but considering its sleeker shell, waterproofing could be a real possibility. We think wireless charging is unlikely as the all-metal design would prohibit this (something to do with magnetic fields? Yeah, don’t ask). Storage begins at 32 GB with 64 GB and 128 GB also rumoured to be on offer (as always expect an SD slot too). Furthermore, the M9 is predicted to offer an Android 5.0 lollipop goodybag complementing HTC’s sense UI. No word yet on colour options, though its predecessor offered customers gunmetal, silver and gold for the blingy at heart.